This pool cue wall rack has it all! It will hold six pool cues, a set of billiard balls, your triangle, and more. A handy drawer in the bottom is perfect for holding extra chalk, your talc bag, or whatever other small accessories you may need to keep handy. 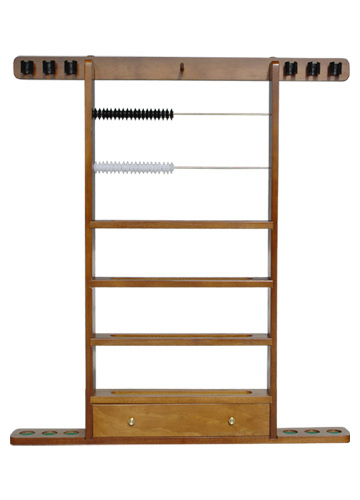 Two sets of scoring beads adorn the top of the rack, adding function as well as decoration.